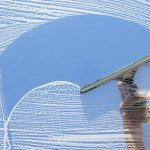 I’m often asked when is the best time to have my windows cleaned? Let me answer with a brief story. Once when I was the area marketing rep for the Sherwin – Williams dealer group I spent a day with a chemist from the Chicago factory named Joe. We were to travel to a paint complaint involving an important contractor and the dealer had asked I bring a chemist to investigate. He talked as I drove and described the most common reasons for paint failure including what he described as the “Bio- Film” that could interfere with paint adhesion. According to Joe, Ultra fine dust particles from construction sites, decomposing organic matter, exhaust from cars, fireplaces, etc. float along with the wind, and mix with the humidity in the air. The morning dew coating everything evaporates and a minute film is left behind. This process repeats itself over days,weeks, months continually until the film becomes visible. This is why you might have seen mold growing on vinyl siding, plastic lawn furniture and even windows. The mold isn’t growing on the glass but on the layer of organic matter that’s built up over time. Instead of rain running off a smooth clean surface the moisture absorbed by this layer of “dirt” is held against the surface and can allow the glass to be damaged. 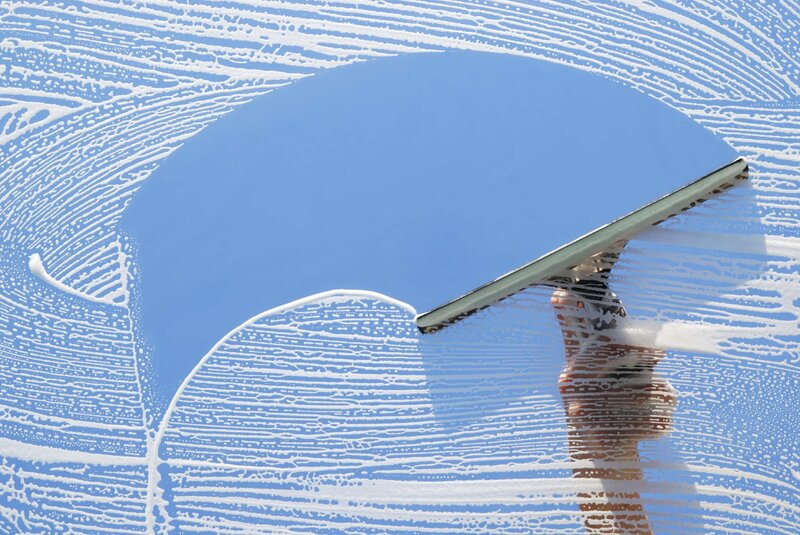 When your windows are professionally cleaned this bio – film is removed. 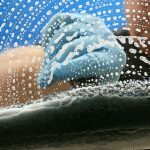 Rainfall or spraying with a hose won’t remove this film it requires scrubbing to lift it off the surface before rinsing. 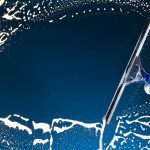 We can achieve great results even in freezing temperatures by adding denatured alcohol to the wash water. 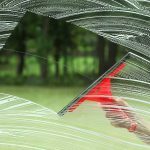 The alcohol lowers the freezing point of the wash water and is an effective solvent to remove sap and grime from the glass leaving a streak- free, sparkling surface.